This year I’m grateful for all the wonderful science fiction movies that were released in 2013. While some were disappointing, like Star Trek Into Darkness and Elysium, genre fans also got some really good films that will be considered classics in the years to come. Although Alfonso Cuarón’s Gravity is a visual feast for the eyes, I’m going to put my money on a smaller movie called Europa Report as my favorite science fiction movie of the year. 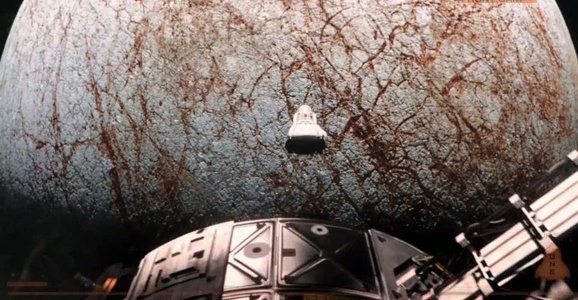 Europa Report is a claustrophobic and well-structured found-footage movie that pushes the boundaries of the genre. It’s amazing to see what director Sebastián Cordero could do with a budget of only $125,000. It’s worth checking out if you haven’t already, as the sci-fi makes for great counter-programming to all the action/adventure science fiction we’ve been getting in theaters this year.